Pre-Thanksgiving treats this week with a couple of happening hip hop shows and a press event for tough guys. 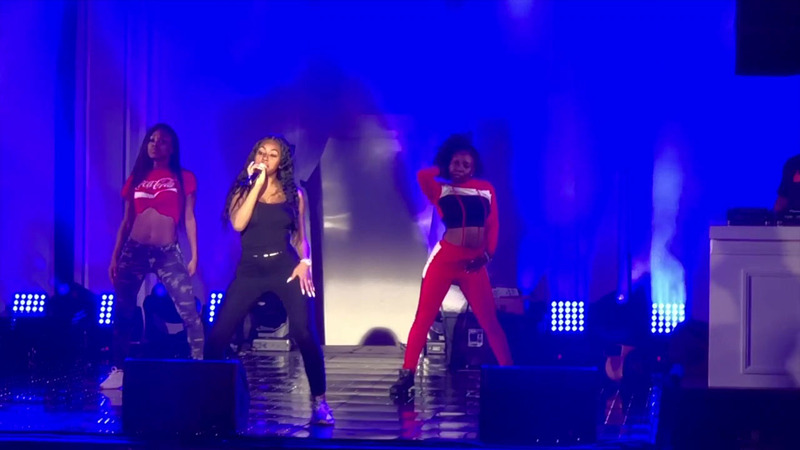 Producer Jen Green invited us to her Cardi B show for Fashion Nova. CB dropped her brand new clothing line, online, at Midnight. She did a live performance at the same time to celebrate and promote. Our show was live streamed on the Fashion Nova website so fans could see Cardi and could buy her clothes. We also had a great one with new client Crown and Conquer at the Theater at the Ace Hotel downtown, the 2018 Spotify Secret Genius show. This is Spotify's mission to remain dedicated to music's creator community including songwriters, producers, engineers, etc. Gorgeous theater, great new client, great acts. Look for the scary pic of the UFC fight press conf we did - Oscar de la Hoya is getting in to UFC and we're down. With all of it.